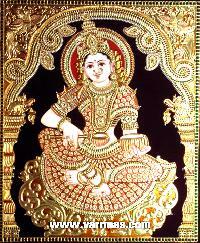 Tanjore is also known as thanjavur, a south indian classical painting style. 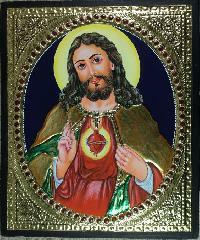 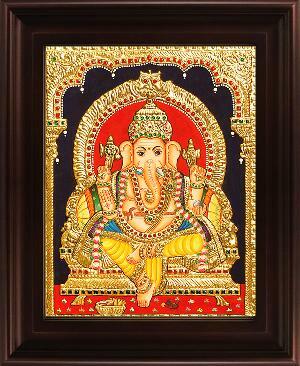 This is hand painted by the master craftsman and glittered by gold foil paper and different colors glass beads to decorate the painting. 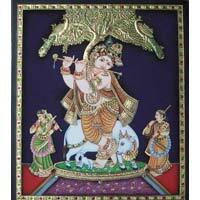 Usage : Home decor, Gifting etc. 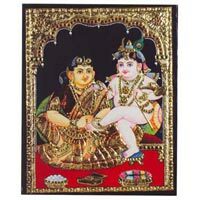 buy authentic tanjore paintings in different sizes and finishes craeted by professional artists using pure 22 carat gold foil and semi precious stones. .
Offering Vitoba Krishna Tanjore Painting. 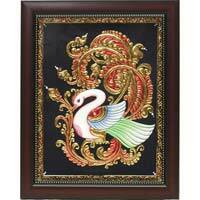 Traditional Tanjore Painting with first quality materiels used without any change in the Tradition. 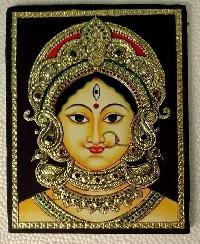 We assure you that we use 22ct Gold foils only. 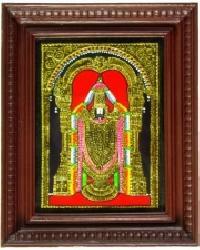 We are offering Tanjore Paintings TP- 206. 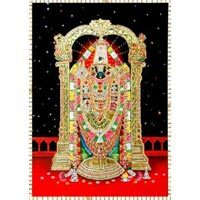 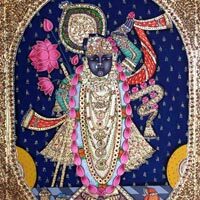 We are offering balaji tanjore painting. 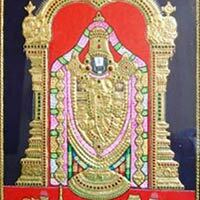 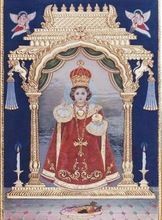 Balaji also known as sriniasa, venkateswara, and venkatacalapati, is a form of the hindu god vishnu. 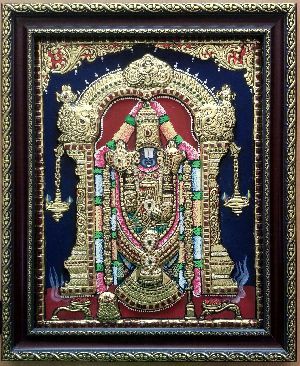 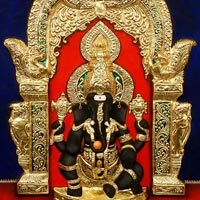 Lord balaji is portrayed standing majestically against the beautiful prabhavali, the exquisite arch depicting creation, preservation and fiery dissolution with a fierce representation of mahakala, the god of time. 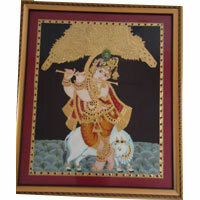 Prama Arts Chennai Pvt Ltd.
As a respectable Supplier and Exporter, the company brings forth Krishna Tanjore Painting . 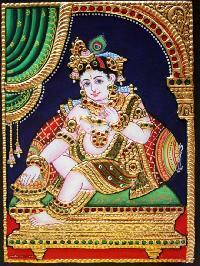 Our Krishna Tanjore Painting is well-known for its vivid colors, excellent craftsmanship and quality. 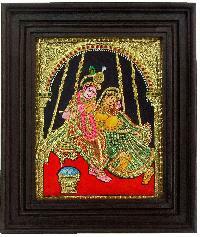 Krishna Tanjore Painting depicts the love and devotion for the Lord Krishna. 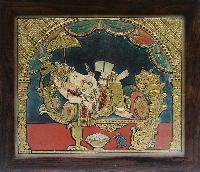 Our Krishna Tanjore Paintings are widely used for decoration purposes in lobbies of hotels, homes and several other places. 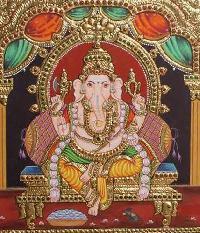 Our fast transit facilities make us able to easily meet the expected delivery deadlines of the clients. 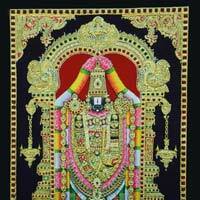 Backed by an extensive supply network, our organization is grouped among preeminent Suppliers of Traditional Tanjore Painting. 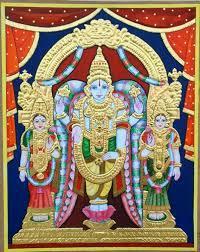 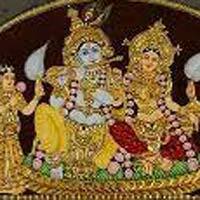 Many type of krishna, tirupatibala ji, vishnu, lakshmi, sarswathi, saibaba, shivan, murugan, ganesh, hanumanji etc. 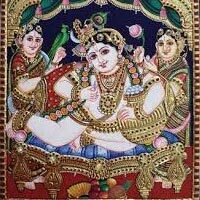 Tanjore Painting is a form of art which was developed in the Tanjore or Tanjavur, a place in Southern part of India. 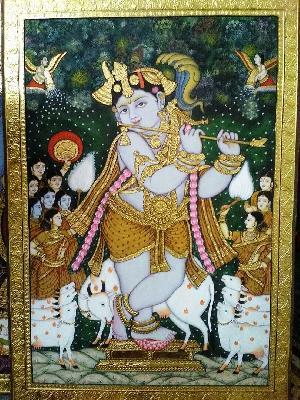 We use pure golden leaves and a lot of semi-precious stones to highlight certain important aspects of the painting like ornaments, dresses, etc. 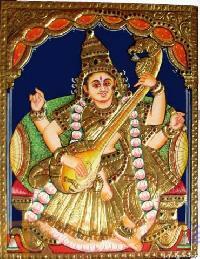 Mostly Gods of Hindu mythology like Ganesha, Shiva, Parvathi, Lakshmi, Krishna, Vishnu and others form the main character of these Goddess Tanjore Paintings . 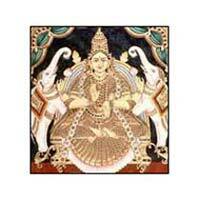 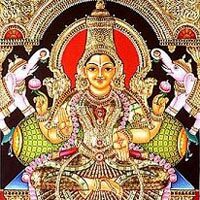 Lakshmi which is important goddess in India. 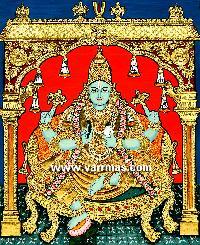 We made her structure also with variant types. 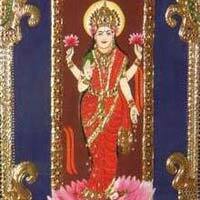 Means in normal structure or some kind of antic structure we used golden work because of that Lakshmi statue look very attractive. 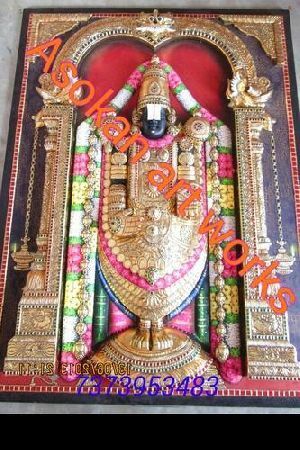 We here also done with diamond work. 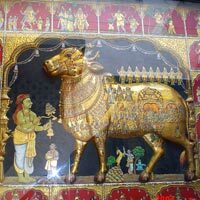 Tanjore Paintings is the form of painting where the coloring and ornamentation of metal is done by fusing different kinds of colors. 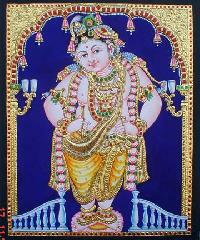 We offer an exclusive collection of Tanjore Paintings in the market. 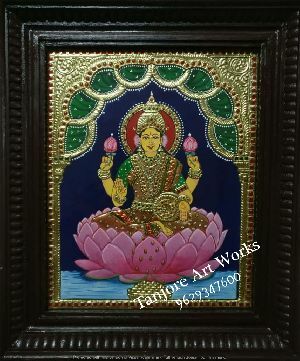 Our Tanjore Paintings are available in different themes and graphics. 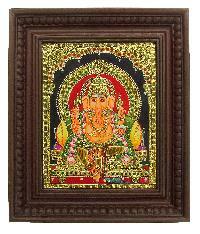 Traditional handmade mantap ganesha tanjore painting crafted on plywood with 22 carat gold foil, semi-precious stones, paints and framed with best teak wood. 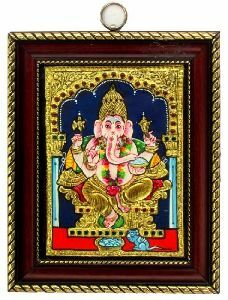 Mantap ganesha tanjore painting, ganesha tanjore painting: buy high quality traditional tanjore paintings (thanjavur paintings) online at best price! 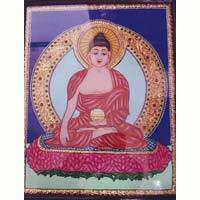 free shipping within india. 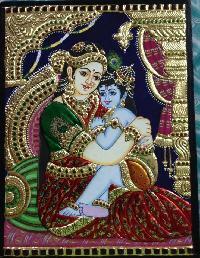 we are ready to supply you tanjore paintings minimum order 25 pieces.You can get religious paintings. 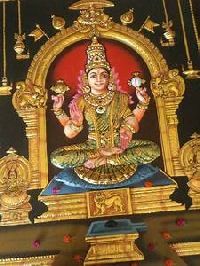 in different sizes.